In 1928, a group of businessmen formed the Jewel Cave Corporation, which provided tours to the public until 1939. The National Park Service had begun administering the monument in 1933, and the Civilian Conservation Corps established a camp at Jewel Cave in May of 1935 where twenty-five men accomplished several projects for the Park Service. A three-room cabin and comfort stations were built, along with sewage and water connections for the cabin and campground. An enlarged cave entrance, surface trail, and a new stone stairway were constructed during this same time. In 1939, a National Park Service Ranger was stationed at the monument and began conducting cave tours and providing visitor services. In the late 1950s, significant discoveries were made within the cave which lead to development of a new visitor center and cave tour route. By 1959, approximately one-half mile of Jewel Cave had been explored. Even though the cave was beautifully decorated with calcite spar crystals, the tour route was short, and some wondered whether this small cave was truly worthy of national significance. 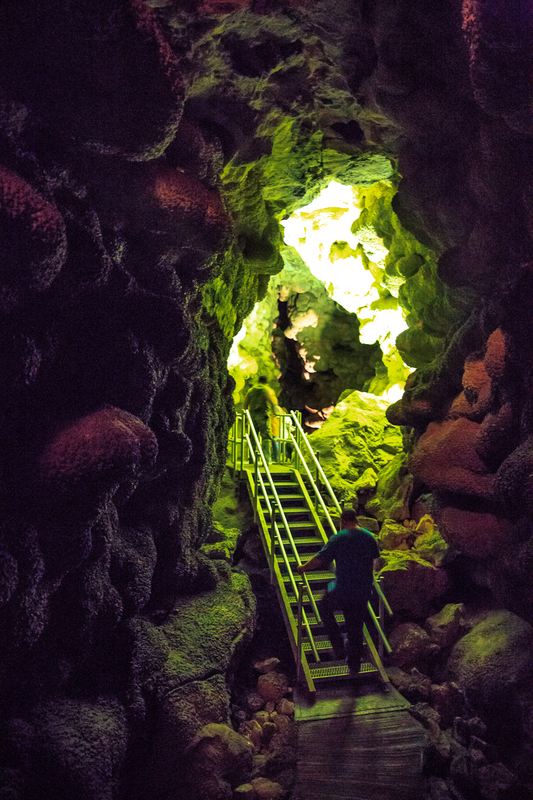 Geologist Dwight Deal enlisted the aid of two rock-climbing enthusiasts, Herb and Jan Conn, to help him explore within Jewel Cave. In 1961, the known length of the cave extended more than 15 miles. The National Park Service was interested in developing additional tour routes open to the public, and the discovery of the “Scenic Area” of the cave took place in 1961. The “new” areas within the cave were actually outside of the original boundaries of the monument. In order to proceed with plans to develop a new tour route and visitor center, a land swap with the Forest Service was made in 1965. Construction of the present scenic area cave trail, the elevator shafts, one elevator, the visitor center, maintenance area and parking lot began in 1966 and took nearly 5-1/2 years to complete. The Scenic Cave Tour route and visitor center were first opened for touring on May 28, 1972. Exploration of the cave continues, providing park managers with an increasing amount of information to use for future protection of this impressive resource. With more than 129 miles surveyed, Jewel Cave is recognized as the third longest cave in the world. Airflow within its passages indicates a vast area yet to be explored. Cave tours provide opportunities for viewing this pristine cave system and its wide variety of speleothems including stalactites, stalagmites, draperies, frostwork, flowstone, boxwork and hydromagnesite balloons. The cave is also an important hibernaculum for several species of bats.